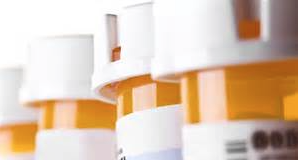 House Democrats have started what they called an “in-depth” investigation into the pricing of drugs for neurological condition MS, the latest attempt by U.S. politicians to pressure manufacturers to lower costs. Seven drugmakers -- Biogen Inc., Sanofi, Novartis AG, Roche Holding AG, Bayer AG, Merck KGaA’s EMD Serono unit and Teva Pharmaceuticals Industries Ltd. -- received letters requesting information on pricing strategies from Elijah Cummings and Peter Welch, two representatives who sit on the House Committee on Oversight and Government Reform. Some pharmaceutical companies appear to be “setting new, higher prices in lockstep with competitors -- a strategy known as ‘shadow pricing,’” Cummings and Welch said, noting that the average annual cost of therapy had increased to more than $60,000 in 2015 from about $16,000 in 2004. Shares of Biogen, the only U.S.-based company in the group, were down 3.2 percent to $284.66 at 3:23 p.m., amid declines in the stock markets Thursday. Bayer said in a statement that it doesn’t control the cost for patients at the pharmacy, because copays are determined by insurers and pharmacy-benefit managers -- an argument that pharmaceuticals companies have long made when facing criticism over drug prices.